The plot for this little trip was hatched early in 2009 just as things were beginning to brighten up from the winter. 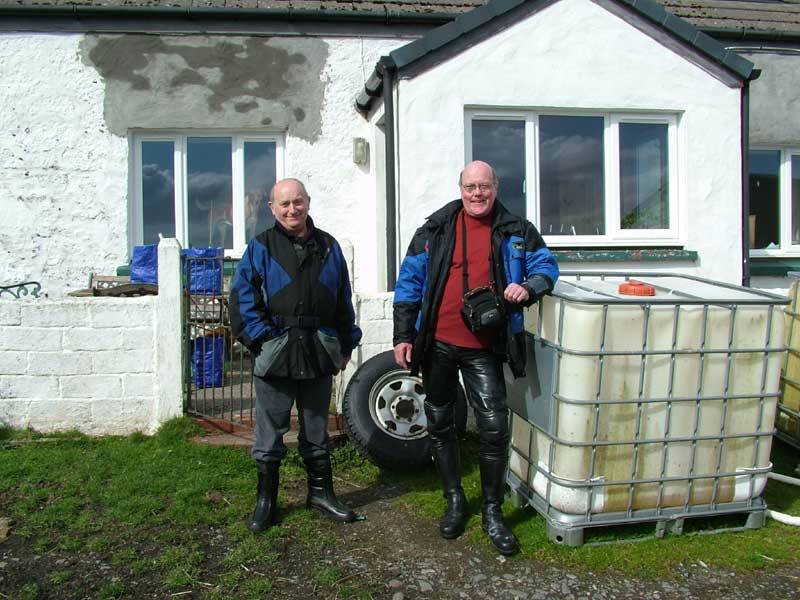 I made a quick call to my friend David Durham in Hull to see if he wanted a trip on his BMW to somewhere between his home and ours in Orkney. 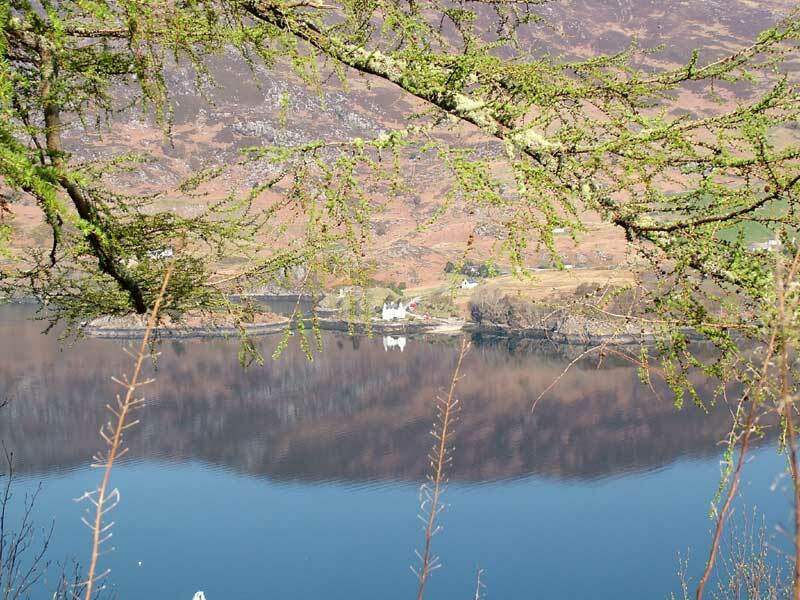 I had just received the latest brochure from Easy Breaks (www.easybreaks.com) and spotted a cracking deal at the Arrochar hotel on the edge of Loch Long, only a short distance from Loch Lomond. A quick check on the map indicated that it was fairly close to a mid-point for us, with around 250 miles each to ride. This deal was for 3 nights dinner, bed and breakfast for £83 each, not only that there was a packed lunch thrown in on one of the days! I quickly booked the return ferry trip using Northlink (www.northlink.co.uk) from Stromness to Scrabster and then got a fresh MOT for the Wing at Dr D's Bike Surgery in Kirkwall, as it was due immediately on my return. I was quite close to finishing a greenhouse/summerhouse for Chris and she was quite OK about me escaping again, so soon after a recent trip to a funeral down in Hull. I was also happy that she would at last be able to unpack a lot of the gardening stuff and start growing things again - something she really enjoys. Having got on so well with the greenhouse, I decided to set off a day early and find a B and B for the night before meeting up with David. The weather had turned really nice and I thought I might travel over to the north west of Scotland, perhaps via Ullapool and Gairloch and maybe even over on to Skye, an area we have toured frequently, but not for some time The Saturday dawned clear and bright with barely a breath of wind (yes, this IS Orkney!) and after warming up the bike for a few minutes, I trundled off to do the 14 miles to the ferry terminal in Stromness. After helping secure the bike I soon made my way to the seating area of the 'Hamnavoe' and settled down for a very pleasant trip and towards the end of the crossing, met up again with a couple on holiday from Australia. Chris and I had met Jim and Lynne when we had stopped for our lunch at the Sands Hotel in Burray a few days previously. The waitress had mistakenly thought that as we had all entered the place together we needed a table for four. It seemed a good idea anyway and we had a lovely time with them during our meal. It was good to see them again and can imagine that if we were ever to go over to Oz, I'm sure we would look them up if we were in the vicinity of Brisbane. Leaving the ferry I took the usual route South through Thurso and down the A9 to Latheron, then through Helmsdale, Brora and Golspie all the time enjoying those fantastic views of the North Sea coast. I made the quick decision to take the even more scenic A839 through Rogart to Lairg. 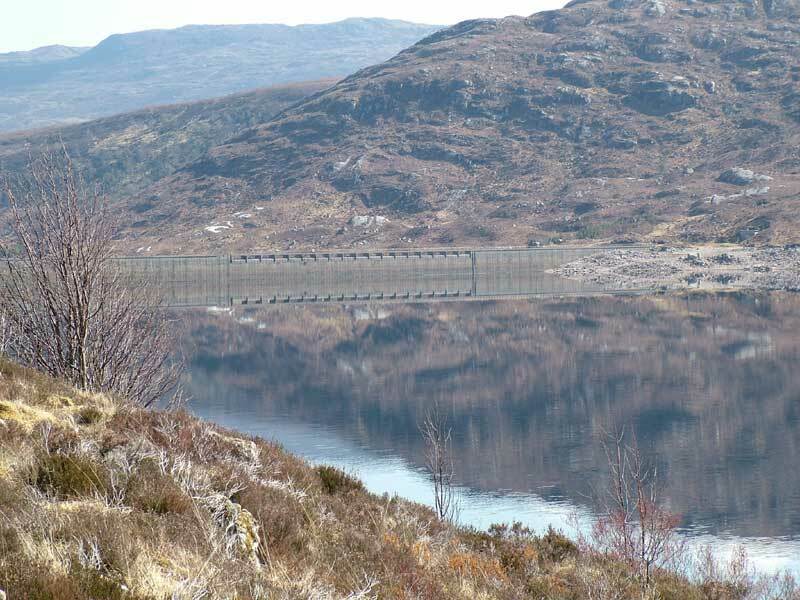 Once in Lairg I turned right over the river Shin and stopped for fuel. I had been riding in a rather 'spirited' manner and was already impressed with my newly fitted fork brace from 'Superbrace'. I had heard many good reports about this brace from other 'Wingers and especially from my good friend John Taylor who had accompanied me on a trip to Holland and Germany a few years back. I had actually bought mine from Cyclemax in Ohio (www.cyclemaxohio.com) when we visited my Niece and her family there over Christmas. I had always had the impression that Honda got things pretty close to being right, but the addition of this relatively simple piece of aluminium alloy has really transformed an already quite well mannered very big bike. Honda fitted a small pressed steel bridge under the mudguard, but the locating collars provide insufficient area to clamp the legs firmly enough. This stays in situ when the 'Superbrace' is fitted and the two work well together as a 'box'. I have had 'Wings for over 20 years now (a very early 1000, three 1200's and two 1500's) and have put well over 100,000 miles on them collectively and have just come to accept the slightly quirky behaviour in the handling department. This brace has changed that - not that I am inferring that it is now transformed into a sports bike, just that it feels more sure-footed and is less likely to twitch when passing over wet white lines and over-banding. It also responds more precisely to counter-steering and gives an altogether more pleasant ride. As I came to the steep downhill junction in Rosehall, there was a sign for a tea-room and craft shop - that seemed a great place to have a lunch stop, so I took the little detour to the left along the road and up a gravel/grass track to a good level parking area at the top. The food was very good and the surroundings were simply astounding in the brilliant lunchtime sunshine. 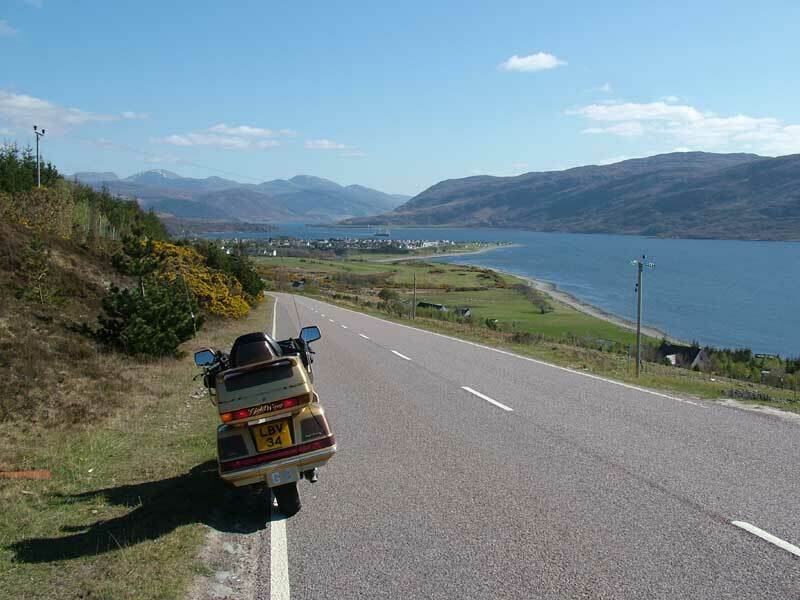 On the road between Ullapool and Gairloch by Loch Maree, you could be forgiven for thinking you were in the Med! 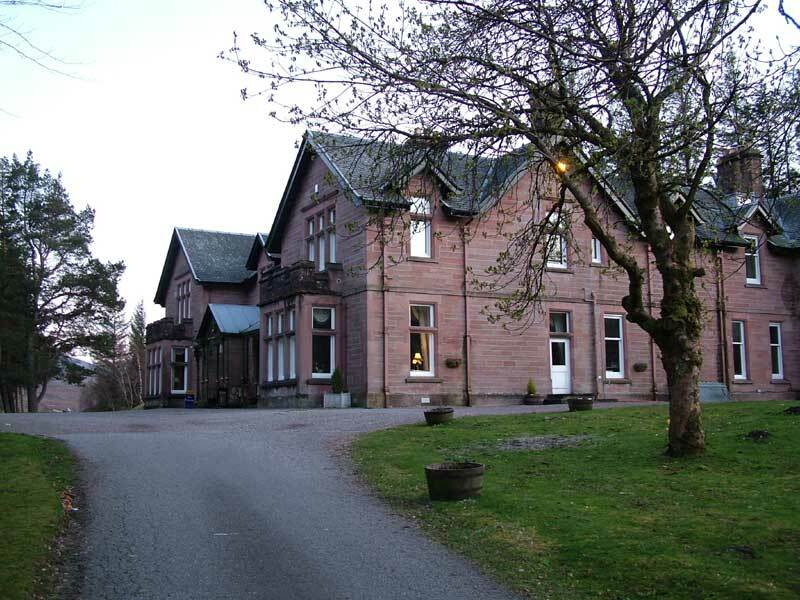 Arriving at Achnasheen, I turned South and spotted the Ledgowan Lodge Hotel which provided a fantastic place for my overnight stay. This is a delightful family run place, very popular with locals and visitors alike and even has a campsite and bunk house (with individual rooms) in the grounds. (www.ledgowanlodge.co.uk) I enjoyed a very leisurely breakfast with a Scots chap who had recently retired from a life of being a translator in Belgium (where he still lives) and then wandered down to pack the bike in readiness for a trip over the new (to me!) bridge to Skye. 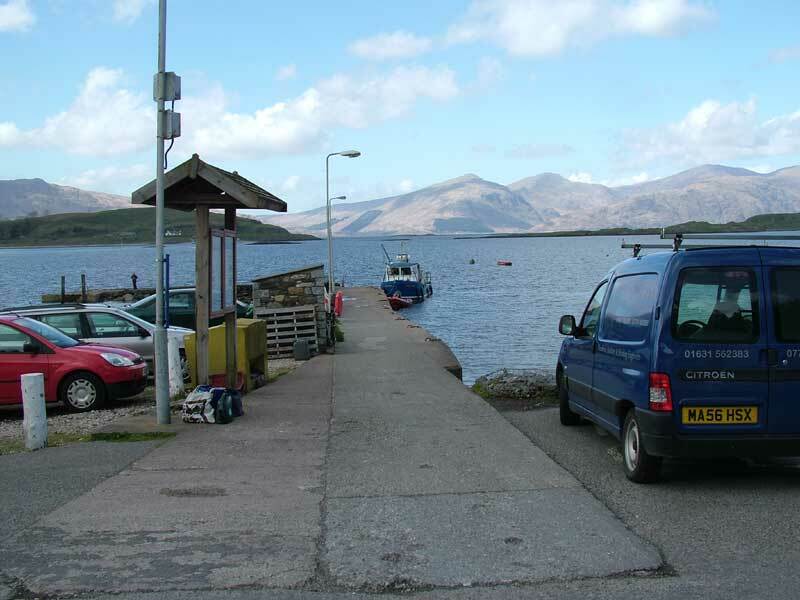 I had a little foray onto Skye, but felt that if I went up to Portree, I would end up rushing to get to my meeting point with David, so I just explored the area around Broadford and then turned down the road to the Kylerhea ferry. The sign at the beginning of the 7 mile single track road indicated that ferry was in operation from April to October, so no problem there then? The road is 'interesting' on a big bike with lots of very tight blind bends, both up and downhill. I encountered a couple of other vehicles, fortunately behaving themselves, so I quite enjoyed the run. 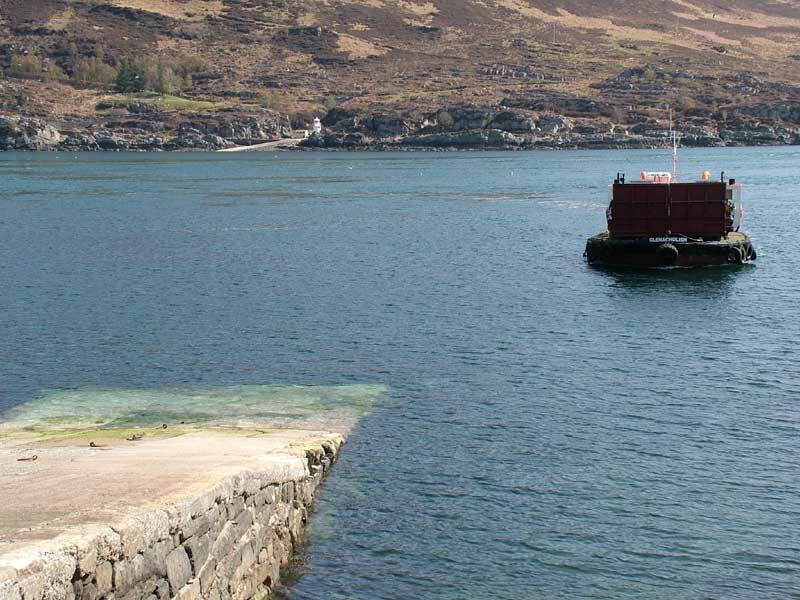 The Glenachulish turntable ferry coming to pick me up. 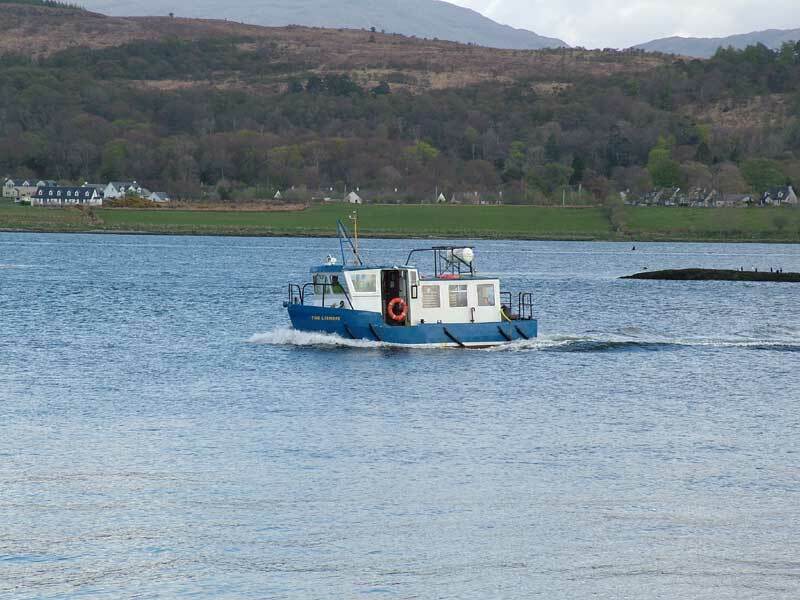 This ferry is the last of its type in Scotland and was operated on my trip by a couple of Macleods (naturally) who gave me a detailed account of the whole process. I offered to turn the 'Wing round, but they said they would take care of it and started to manually revolve the whole of the 6 car deck on the 'deck' of the ship, so that I would be pointing the right way when we arrived at Glenelg. I knew of this ferry from previous visits, but had never had the time/inclination/weather to use it before. The tidal race it has to cross is quite something and the ship sets off in completely the wrong direction at some speed and then slows to allow the tide to carry it to the other slipway, with an occasional burst of power to correct any inaccuracies in trajectory. 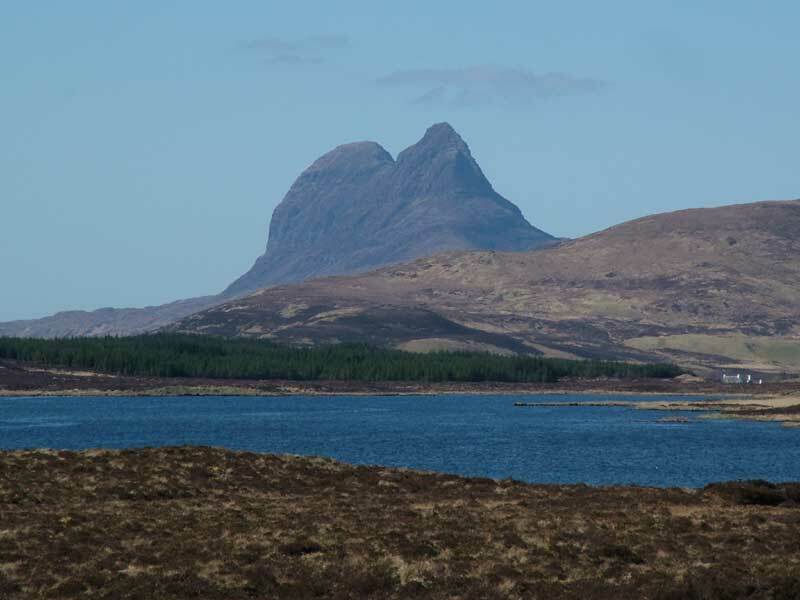 It all looks to the layman like guesswork and good luck, but that is just because of the true expertise of the crew, who now provide the only feeling to the traveller that Skye is still an island. Living as we do in Orkney, I personally would hate any form of fixed link to our islands (tunnels and bridges have been suggested in the past - I hope it doesn't happen in my lifetime) Although I am not a good sailor, I still love leaving mainland Scotland to travel home by ferry (Speed Bonny Boat and all that) even though goods and some services cost more because of it. I thought about stopping at the Cluanie Inn, but as I approached, the car park looked quite full and as I only wanted a snack decided against it and pressed on a while longer. 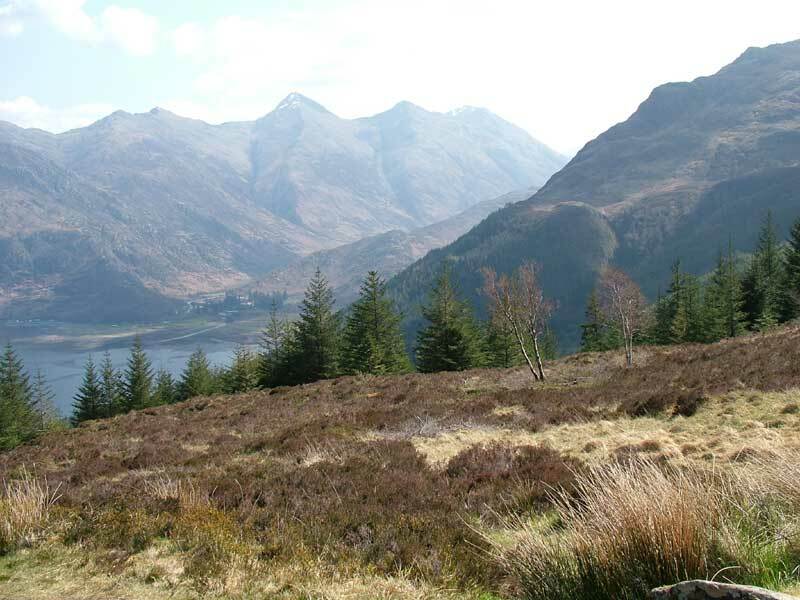 I had contacted some friends from our Poland walking trip last year and we set out on the Monday to see them at their home near Inverary. Later that day we were also meeting up in Inverary with a VJMC member who now lives on a croft on Lismore island in Loch Linnhe not far from Oban. Huw was already waiting by his immaculate CBX when we drew into the car park, so we strolled off for a coffee with him and then enjoyed a few hours riding some of his favourite roads. We stopped for a snack at the Green Welly Stop at Tyndrum before retracing our route South in the direction of Oban, so that he could get his ferry home. By coincidence Huw was travelling to Oban to get some animal feed and provisions the following day, and invited us to meet up with him at the passenger ferry at Port Appin after lunch and then have a quick trip on to the Island and then to his croft - that was a great idea and David was keen to see what the place was like too. We made sure that we were on time for the return crossing to avoid missing our evening meal back at the Hotel. The roads had dried from the earlier bit of rain and we had another lovely leisurely ride along the lochs and over the Ballachulish bridge arriving back at the Hotel in plenty of time to make ourselves presentable (well, we thought so anyway) for our evening meal. There was a 'Turn' on in the hotel - a DJ playing some music of our era - so that was an added bonus. 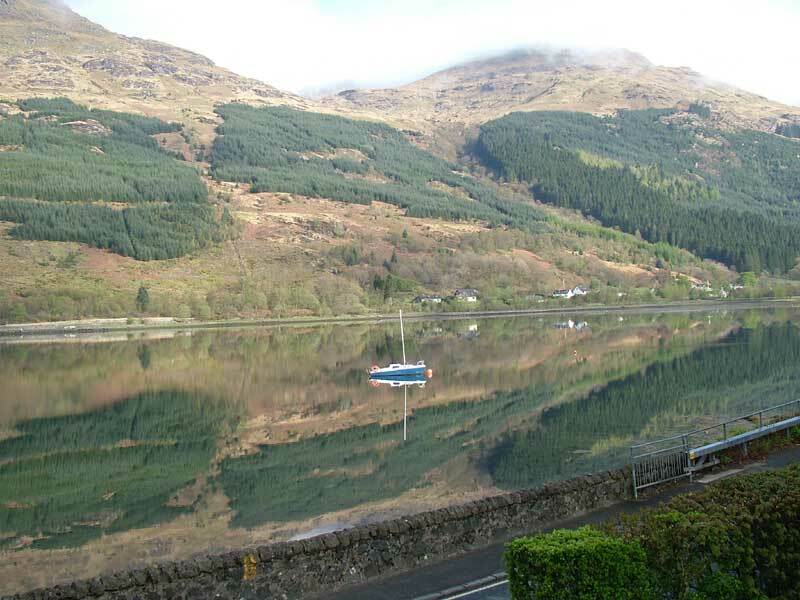 This is the view over Loch Long from the Arrochar Hotel in the direction of Ben Arthur (The Cobbler), unfortunately this was our last glimpse of this mirror-like surface, as it was now time to pack the bikes and go our separate ways. 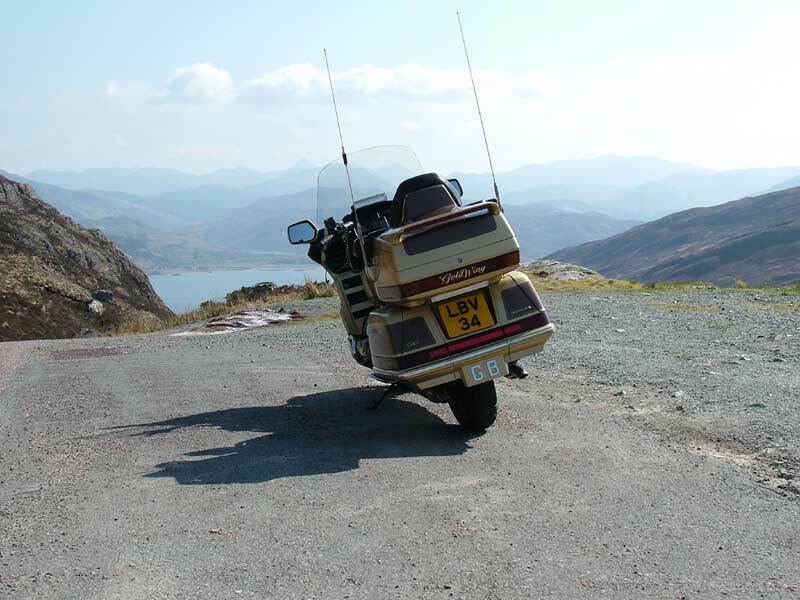 I hate that stretch of the A82 between Tarbet and Crianlarich which I had used on the Sunday afternoon, when it was infested with crutch rocket jockeys intent on being the contents of 3 bin bags for the services to clear away. Don't get me wrong, I enjoy riding quickly, but they are the type who give motorcyclists and motorcycling in general a really bad name. I want some new rules: if you are caught blatently flouting the speed and safety rules by bike or car and cause an accident - we WILL confiscate your machine and crush it, regardless of its value or necessity for your work. No ifs or buts. 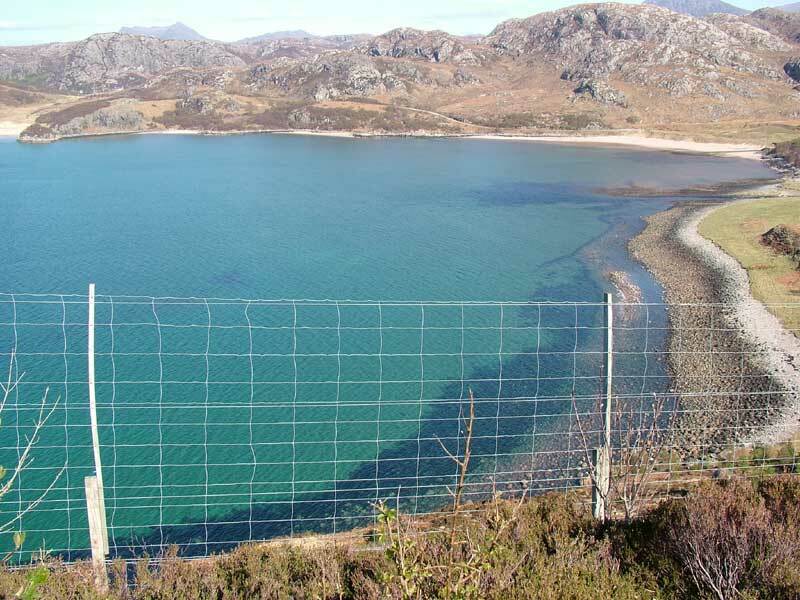 The surface of that particular section is absolutely awful, nothing like the rest of Scotland's wonderful roads - but perhaps the Authorities have left it in that state in an attempt to discourage these morons? 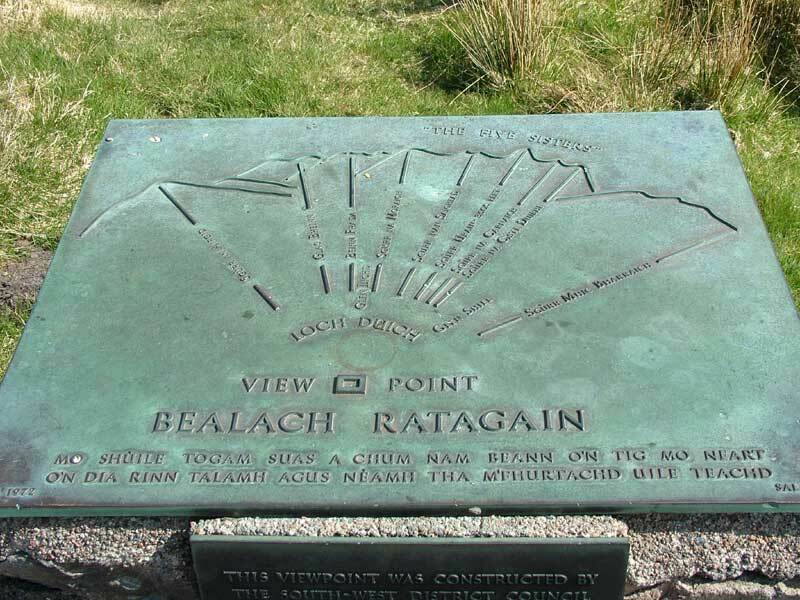 With this in mind, as I left the Hotel, I went up the 'Rest and be Thankful' and turned through the arch in Inverary to enjoy the section up through Dalmally and Tyndrum ready for the A82 over Rannoch Moor and Glencoe. This would be the fourth time I'd travelled this section in as many days - I never tire of it! It's hard to think that our 'Wing is almost 19 years old now, and not showing too much of its age. I was certainly lucky to get this one with such a low mileage (thanks Nick!) and could probably just about get back what I paid for it. Now that we've retired, I have more time to keep on top of the little things which always need attention if it is to stay in the condition it is today. I don't think that I will change it for an 1800 at this stage in my life - I do understand that the 18 is altogether a different and in some ways better bike, but they are still having problems with some aspects and most owners report that the luggage carrying capacity is not as good as the 15. So far the 1500 has been the 'Wing with the longest production run of all, 1988 to 2000 - that says something. I frequently see people buying cramped sports bikes and fitting top boxes and panniers as wide as an elephant ears, in an effort to produce a useable means of touring - just give in and get a 'Wing! - it does everything so well. 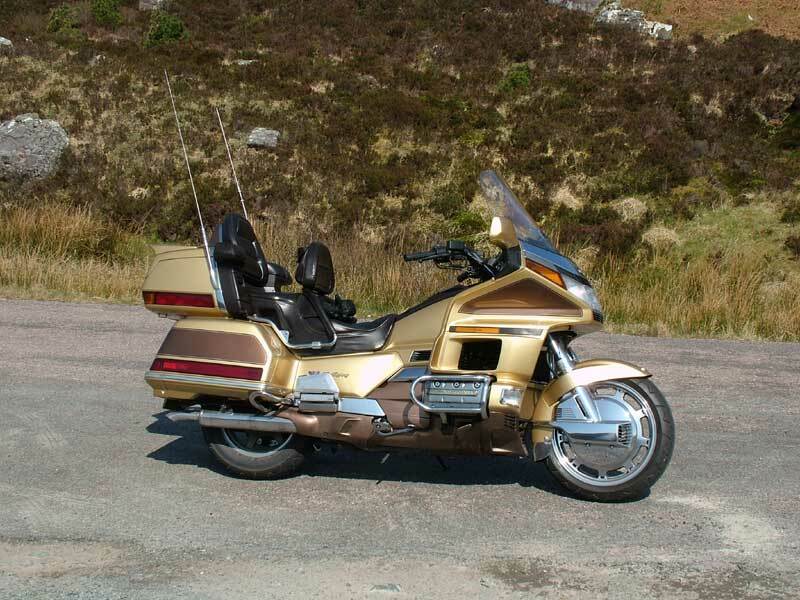 Some years ago when I had a 1200 'Wing, a friend of mine with a BMW K100RT was outlining the reasons he didn't want a 'Wing and citing one as being immense width of my bike when compared to his. He went quiet when we measured them - the BM was a full 2 inches wider than the 'Wing across the panniers at their widest point. All in all this was a fantastic trip of over 1000 miles, through some of Britain's finest scenery on some of the best pieces of road available. The accommodation and food were excellent and, perhaps due to the present economic climate (early in 2009), prices were as good as anything in Europe - I think we had the best of the European touring situation back in the 80's and 90's. It may return if the Euro falls again, but my feeling is that our Government (whichever colour) will sign us up to the Euro when the rate for travellers is really crap (perhaps even as bad as 1:1) It will be interesting to look back on that last comment in 10 years or so.